As far as the ACA subsidies are concerned, it’s not beneficial for the EB5 investor to get them. Once, you get the 2 years restrictive EB5 PR visa by the government, the government then does all your screening. The government wants to know, whether you will be able to support yourself for 2 years on this visa. Once you are on an ACA plan for these 2 years, you can get into trouble because the 5 year PR which is receivable after such 2-year conditional PR, can be rejected. The aspirant EB5 investor first needs to submit the I-526 form which is required so that the government is able to provide an acceptance of his investment. This kind of consent once granted then allows you to make an application for conditional permanent residency for 2 years in the US. So, once you live in this country for 2 years, you can then proceed, forward to get the PR for 5 years which is renewable. To get this kind of PR, you need to provide employment in the US to 10 people for 2 years and then submit the I-829 form for such PR. The Affordable Care Act(ACA) provides subsidies to US citizens and this act was constituted for the, lower income holders in the US. As per this act, a Silver plan was initiated for such income holders, as per which the premiums for health insurance would be restricted to the amount prescribed under this plan for such income holders. The different limits of premiums have been set for those, whose incomes are at a certain percentage of the Federal Poverty Level, which is the base income set for this purpose by the government. Anyone, whose income is between 100% to 400% of this FPL, has a certain limit of the insurance premium prescribed. For the year 2017, the base income for federal poverty level is $15,060. Once you have your income, at 138% of this income($20,783), you can get ACA subsidies in your insurance premium. The Congress has created the EB program to get more non-US investors into the country. That’s, why the government has been creating a lot of privileges under this program for interested investors. The interestedEB5 investors can get to enjoy the unrestricted PR of this country after 2 years. The investor if he is more enterprising can initiate a new venture on his own. In this case, his investment is 1 million USD. The second alternate before him is to invest in a concerned regional centre (targeted employment area). In the second case, a regional centre in a Targeted Employment Area does not require much investment of money from a concerned investor who aspires for the EB5 visa. In this case, the investment should be only 5,00,000 USD. Such lower investment is also required if an investor chooses rural areas which are not part of metropolitan cities and are located on the periphery of a city. The population should be just 20,000 for any area to be registered as a rural area. 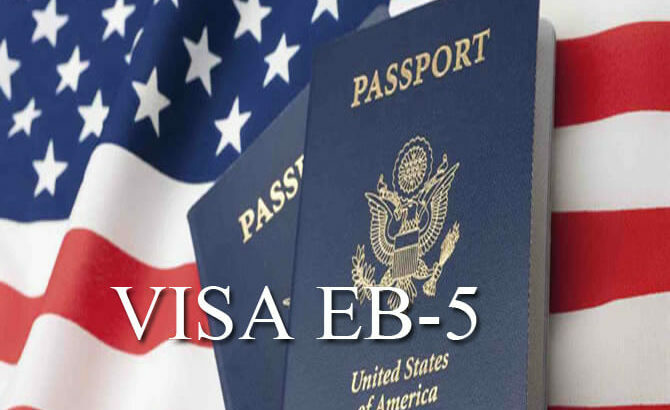 EB5 investor visa EB5 visa. permalink.